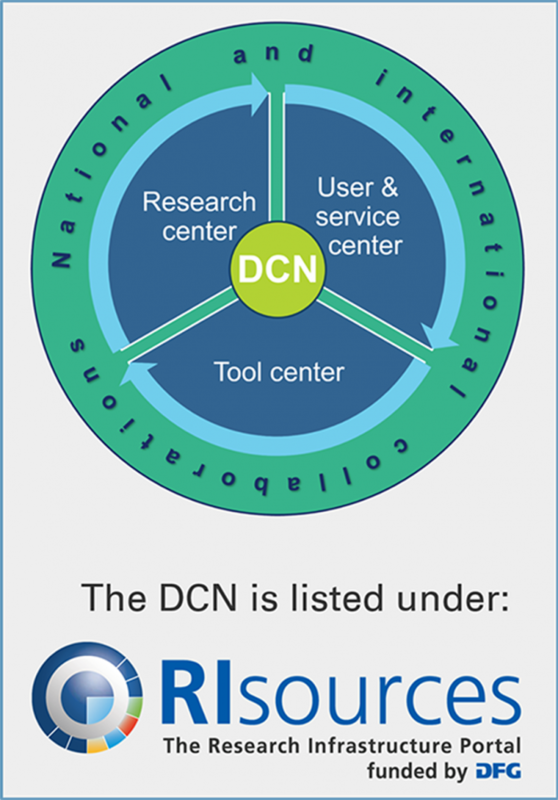 The equipment and methods available within the DCN can be used either by requesting a service investigation conducted by a DCN expert, or – after registration and a device-specific training – by booking the requested tool through DCN’s online booking system and running the experiment her- or himself. Members of the TU Dresden or another public research institution, who are partner to the DCN within a scientific collaboration, may use the equipment free of charge. Members of the TU Dresden or another public research institution, who request support for a project, which is not a scientific collaboration with the DCN, are charged the project-related expenses. Since the DCN is listed as a device center in the RIsources database of the German Science Foundation (DFG), (limited) coverage of these expenses can be applied for within DFG projects. Any other interested person (e.g., from a company) may as well book the equipment of the DCN and will be accordingly charged. For detailed information on user registration and pricing, please, contact us! If you want to use one of the listed tools please get in contact with us. Please see as well the Nutzungsordnung (Terms & Conditions) of the DCN. You can download it here.